OCTOBER HORROR PARTY REVIEW #1: Lords of Salem (2013) – dir. Rob Zombie | Films Like Dreams, Etc. NOTE: I will be taking a temporary(?) break from my monthly recaps in order to participate in some more October-themed film writing. Specifically, I want to try to not only watch at least 31 horror movies this month, but write at least a short review about each one of them. This will be the beginning of what I hope to be a string of themed months upcoming on this blog, which I will go over in more detail sometime later. For the meantime, however, my blog is bound to get wonderfully spooky! First up is Rob Zombie’s latest. 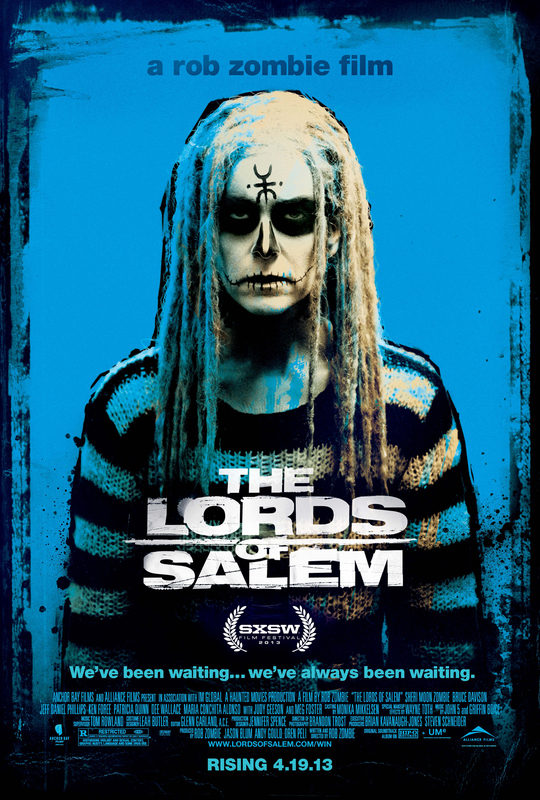 Somehow, I completely missed out on watching Rob Zombie’s Lords of Salem last year when it was playing in theaters. Zombie, as a director, has always seemed a bit hit-or-miss for me. I haven’t seen House of 1000 Corpses, but while there are always facets of his movies that make them worthwhile viewings, he tends to heavily rely on macabre, grotesque elements to a fault. As a result, his films often dilute much of the more interesting contextual or subtexual components in place of using intense gore and violence for little more than shock value. To date, my favorite work of his is actually his fake trailer for Werewolf Women of the S.S. made for Rodriguez and Tarantino’s Grindhouse. With that being said, I think Lords of Salem runs at a close second. It’s a relatively quieter effort from the filmmaker and, in a my opinion, a huge step in the right direction. It’s interesting how so little horror movies put much central focus on witches and, specifically, the Salem witch trials. It’s such an interesting bit of US history that I’ve always found incredibly fascinating and certainly ripe material for an exciting horror flick. Moreover, the psychological implications in many films of the genre – especially those centered around aspects of the supernatural – could be especially compelling if done in very effective ways. Here, the narrative turns it attention to the ancient trials as they transcend hundreds of years and disturb the life of a female DJ (Sheri Moon Zombie) in modern-day Salem. Arguably the best thing this film has going for it is its impressive visuals. The film still keeps up with the dingy, sleazy aesthetic that Zombie had going in past films, such as The Devil’s Rejects, his Halloween remake, and its sequel. 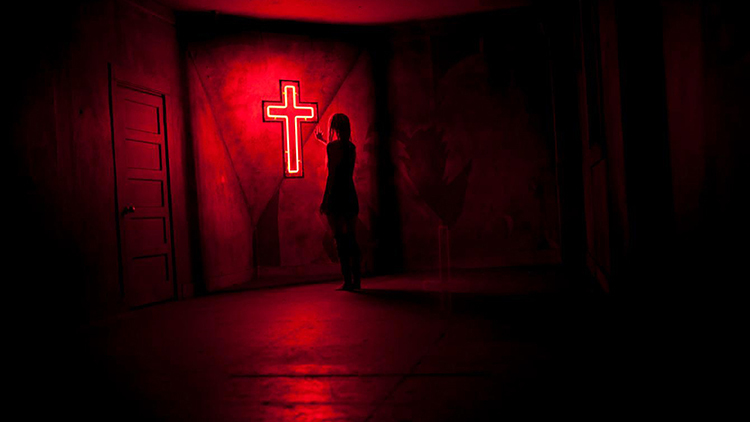 However, I think the use of lighting in Lords of Salem is where Zombie reaches peak viscerality. There are just so many beautiful shots in this film, bathed in differing levels of light and shadow that leave an impression of pure pathos. As much criticism as I tend to hold for Zombie and his artistic tendencies, there’s no denying that the man at work here is a true horror buff at heart. While the atmosphere at play here is not what I would necessarily call terrifying, it is consistently unsettling, which I’m certain was more the intention here. This impressive style, aided by John 5’s score and a couple of mood-setting songs from the stellar classic The Velvet Underground and Nico, create a work of art that impressively ties visuals and emotions in wonderful ways. However, the weakest parts of Lords of Salem lie in its ability to uphold its dense narrative in order to pull in its viewers in ways that extend beyond its impressive imagery. It’s evident that Zombie is attempting to tackle the material of this film in a surrealistic fashion that would mirror similarly driven flicks, such as The Shining and Rosemary’s Baby. Yet far too often, the plot lies dangerously close to near-incomprehensibility. In avant-garde cinema this is hardly a flaw, yet its careful focus on intense visual and atmospheric appeal often means that some of the more fascinating aspects of this film are brushed away or simply never touched upon. I would have personally liked to see this take more of a direction of a character study of our protagonist, as we know very little about her other than that she is a recovering drug addict. A progressive peeling back of such personal layers would help make an overall more substantial film. While certainly not a horror film (although I’m open for anyone to say otherwise), I see this film possessing similar flaws as Refn’s Only God Forgives – also from last year – with its failure in carving out a story even half as compelling as the distinct imagery. But I’ll digress. 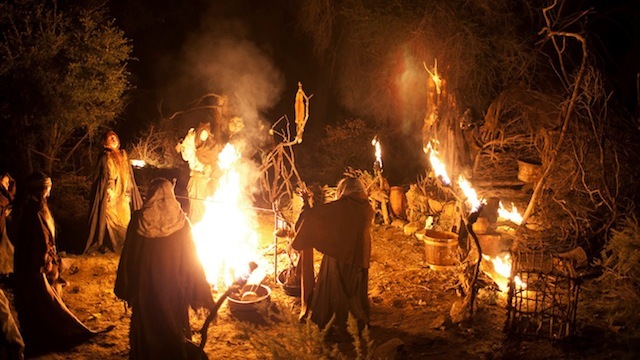 While Lords of Salem remains unfortunately incompetent in areas that would’ve certainly benefited the final product, its effectiveness as a work of art of a purely visceral form is difficult to ignore. I have only ever seen such a level of emotional maturity from Zombie in the final scene of The Devil’s Rejects, my favorite scene of any of his movies. Overall, Lords of Salem proves itself as a remarkable change of pace from his other more rambunctious works, and its interesting to see what roads the mastermind is bound to take us next. This entry was posted in October Horror Party, Reviews and tagged 2010's, 2013, horror, Lords of Salem, October Horror Party, Rob Zombie. Bookmark the permalink.